Perhaps the effects of teaching high school kids all day before going to my sweatshop during the week, invade my psyche and produce a certain flair when I draw my birds. 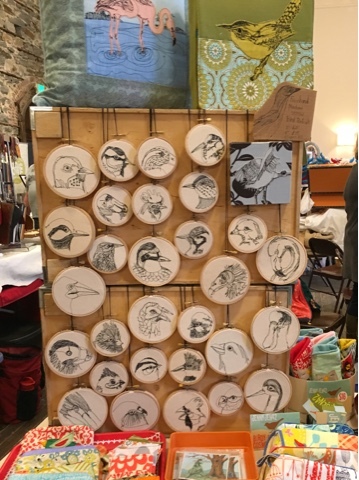 I was very thrille with the attention these got during my recent holiday shows, with many comments about the personalities each bird had. 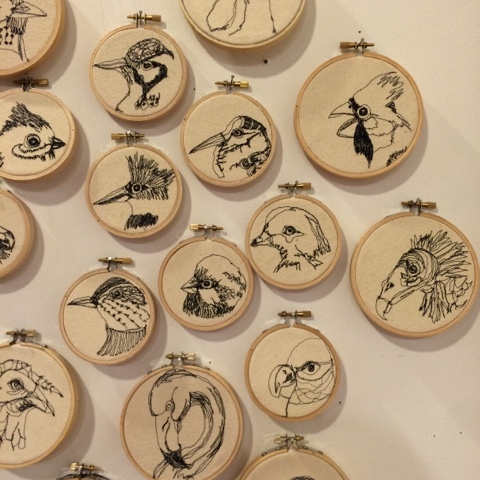 I am not that conscience of the personality when I make them, except when I choose which bird I want to draw. Which bird photo speaks to me at that moment, the look on their face, their stance, their attitude that I am drawn to at the time. 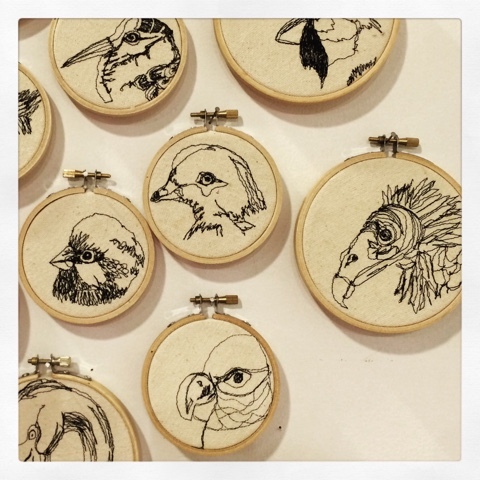 I draw the contour of the bird portrait with a fabric marker that disappears when I wash it out with warm water . And then I put my machine on this free stitch mode and precede sewing...drawing with my machine. I mainly follow the contour of the bird to get the proportions and specific details as accurate as I can. I add the shading as I sew , loving the quality of the sewn line. I have always loved following the line! I used to use an overhead projector when I painted. Projected wallpaper patterns and drawings that I had created or appropriate. There is a meditative calmness that happens and my mind is allowed to wonder when I'm tracing , which I pretty much what I am doing. The additional shading and details are allowed to happen with confidence. Here are some of my latest pictured here. 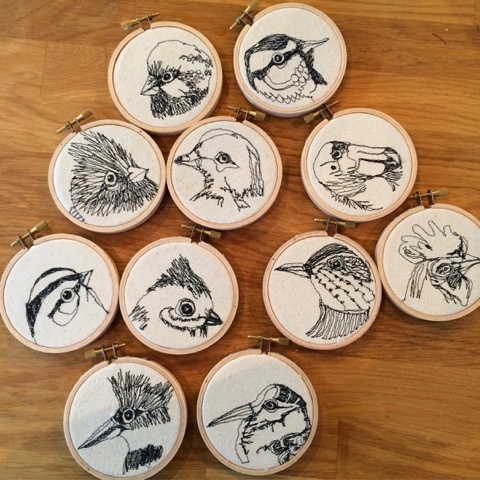 These are 3" and 4" hoop drawings. Some are listed in my shop. I love doing custom portraits of your favorite birds as well. Give a convo in my shop if interested. My shop is here.